Torchlighters is a series of animated programs for youth ages 8-12, presenting the lives of true-life heroes from Christian history. When Kids see what God can do through a 'Torchlighter' who is devoted to carrying out His will and purposes, they too may want to carry a torch of faith by serving Him. 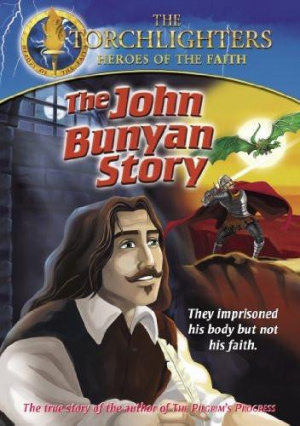 Torchlighters: The John Bunyan Story DVD by Vision Video was published by INTERNATIONAL FILMS & VIDEOS in March 2005 and is our 5117th best seller. The ISBN for Torchlighters: The John Bunyan Story DVD is 727985009360. Be the first to review Torchlighters: The John Bunyan Story DVD! Got a question? No problem! Just click here to ask us about Torchlighters: The John Bunyan Story DVD. Is this one of the Torchlighters 'Heroes of the Faith' series? A:Yes, this DVD is part of the 'Torchlighters' animated films series, and has a running time of 32 minutes.